10 amazing ski resorts you may never have heard of! As the largest ski resort in Andorra, you might not expect to see Soldeu on this list of the top 10 unknown ski resorts. However, due to Andorra’s proximity to the likes of France, Italy and Switzerland, this small country can often get overlooked as a skiing destination. Well, for one this Andorran ski resort has been voted one of the best cheap ski resorts in Europe, which has undoubtedly been helped by Andorra being duty-free. 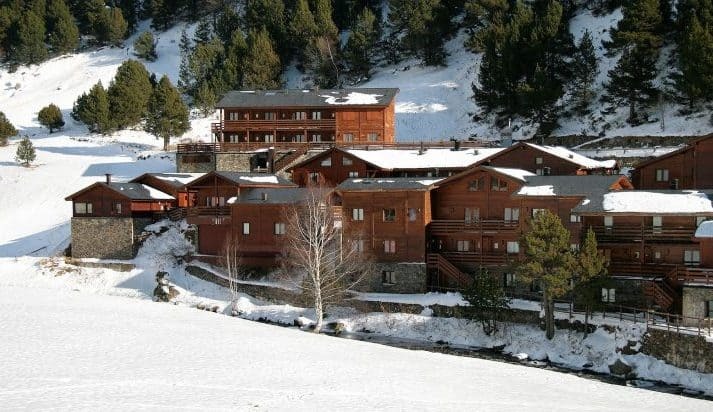 However, the duty-free status does not bring many party goers, so Soldeu is one of the best quiet family-friendly ski resorts in Europe. Bulgaria is one of Europes best-kept secrets when it comes to ski holidays and Borovets is one of the best unknown ski resorts. 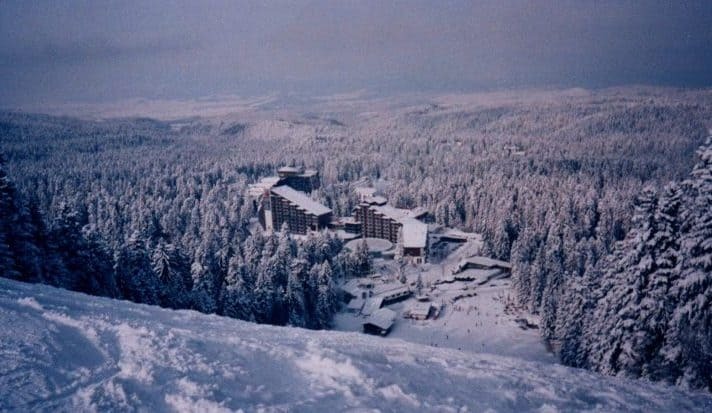 Tourism in Borovets can be traced back to the 19th century, making it one of the oldest ski resorts around. 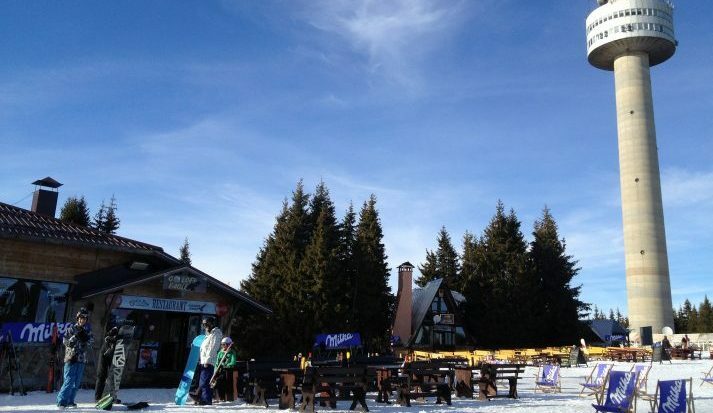 This Bulgarian resort is one of the best quiet ski resorts for beginners with internationally renowned ski instructors in the resort, who generally speak English. There’s plenty of choices when it comes to après ski in Borovets. Those who do know the resort are familiar with the cheaper alternatives available to the much more expensive alpine bars elsewhere. 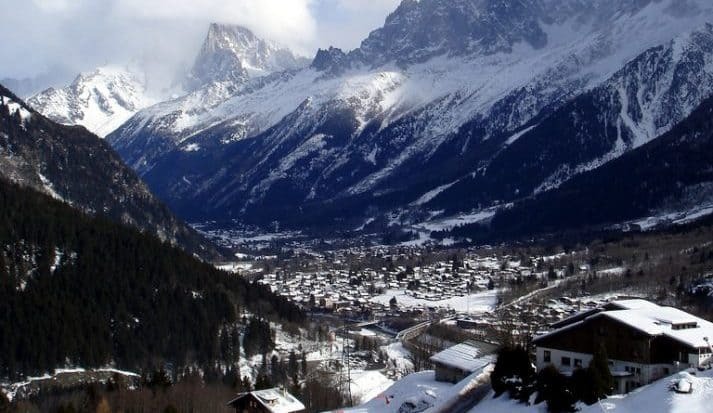 Les Houches is only 6km from the hugely popular ski resort Chamonix, so you might not expect to see Les Houches being named as one of the quiet ski resorts in France. The village is typical of the Savoy region in France. The quaint resort is made up of hamlets which are scattered over the 5000 hectares that Les Houches covers. The exceptional backdrop of Europe’s highest mountain, Mont Blanc and the stunning panoramas of Les Houches ski area, truly set this resort apart. As one of the best quiet ski resorts near Geneva, you might be wondering why you’ve never been here before. Pamporovo is set in beautiful picturesque pine forests and is arguably one of the most beautiful ski resorts in Bulgaria. You might expect one of the draws of skiing in Bulgaria is that everything is much cheaper than Western Europe and you would be correct. Pamporovo is no exception to this rule, which ensures you won’t be spending a fortune on your ski holiday. The ski area isn’t massive, however, the number of green and blue runs make Pamporovo excellent for beginners. The extensive resort of Serre Chevalier is made up of four different villages and towns, which go by the names of; Briancon, Chantemerle, Villeneuve and Le Monetier-Les-Bains. 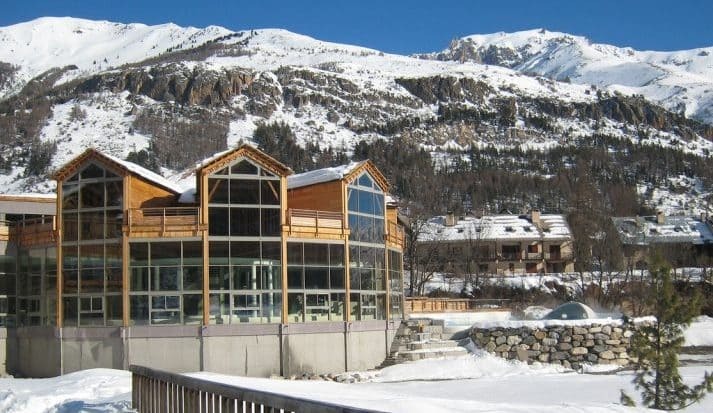 Serre Chevalier is a quiet French ski resort, however, you also have the option to use your lift pass at the nearby resorts of Alpe d’Huez and Les Deux Alpes. This is definitely one of the most underrated and quiet ski resorts near Grenoble. The laid-back style of the resort, friendly locals and cheaper prices than some of its neighbours will leave you coming back for more. Situated in the Tyrol region of Austria, Obergurgl sits right by the Italian border. This increasingly popular, but still relatively quiet ski resort is near Innsbruck Airport. This small, family-friendly Austrian ski resort is a favourite amongst those who have visited previously. However, it remains one of the quietest Austrian ski resorts. It’s difficult to understand why Obergurgl isn’t more popular, to be honest. It’s snow sure, there’s a quaint village with a traffic-free centre and reputable ski schools. What more could you ask for? This lively, but relatively unknown Swiss ski resort is perfect for skiing and active summer holidays. Grindelwald sits under the north face of the Eiger and is surrounded by the Wetterhorn, Monch and several other glaciers. The picturesque surrounding scenery is a draw for lovers of Grindelwald. For non-skiers, Grindelwald is home to 100km of winter footpaths. This Swiss ski resort near Zurich is also home to the world’s longest toboggan run. 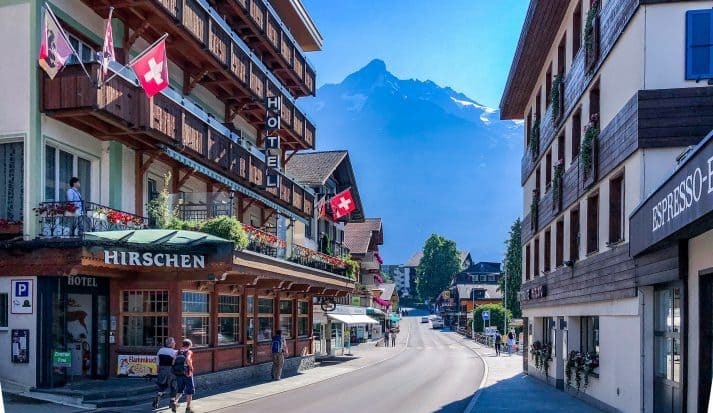 Situated in the heart of the Swiss Alps, Crans Montana is a quiet ski resort, which is becoming more popular with skiers and summer activity seekers. On a visit to Crans Montana, you’ll have access to 140km of pistes, including Pointe de la Plane Morte, a glacier reaching 2,927m. 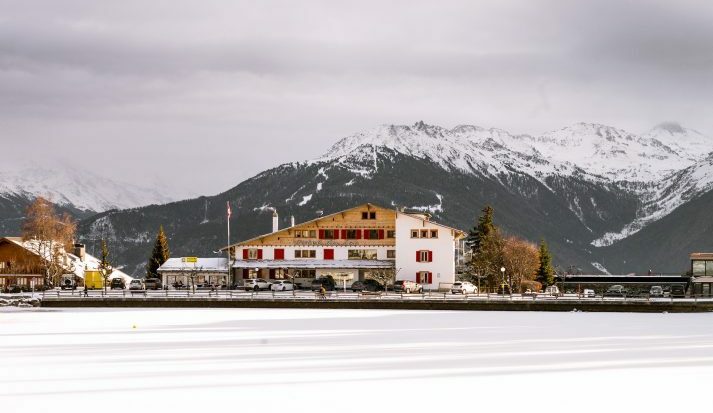 If you follow the Alpine Ski Racing World Championships you may recognise the name, Crans Montana, as this was the venue for their 1987 championships. For those seeking a quiet ski resort near Geneva, Crans Montana is the place for you. Located just above Golden is the Kicking Horse Mountain Resort. This resort is known (to some) for its distinctive views and legendary terrain. 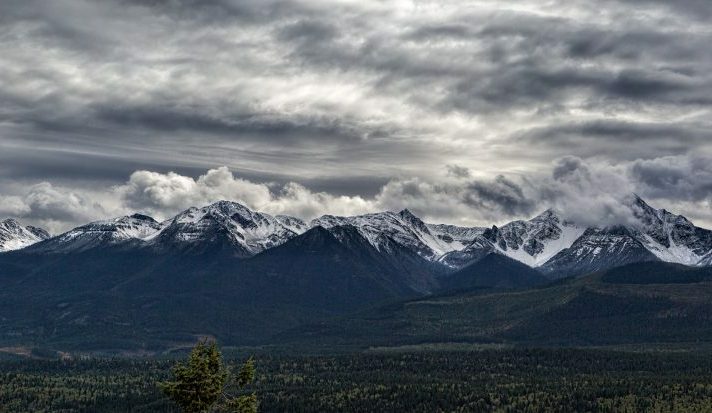 Banff and other large resorts in Canada can often overshadow some of their smaller neighbours. However, you shouldn’t pass up on a trip to Golden. Never mind the best unknown ski resorts in North America, Golden is up there with one of the best resorts in North America. At this quiet Canadian ski resort, as well as world-class skiing, enjoy; skating, tubing, snowshoeing and direct access to snowmobile tours and heli-skiing. Set at an altitude of 1600m, in the heart of the Dolomites, you will be assured an unforgettable ski break at this quiet Italian resort, Arabba. 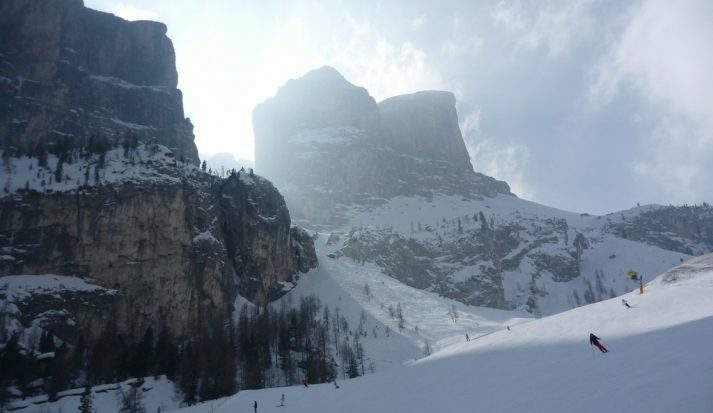 Even without mentioning the skiing, the view of Portavescovo Mountain will leave you in awe. However, the skiing is always the number 1 priority. 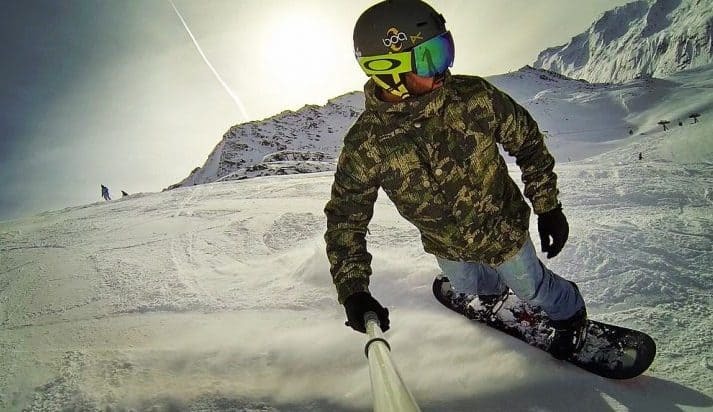 You will not be disappointed, Arabba is home to some amazing technical pistes. For those learning to ski, lower down the mountain is home to some perfect nursery slopes.